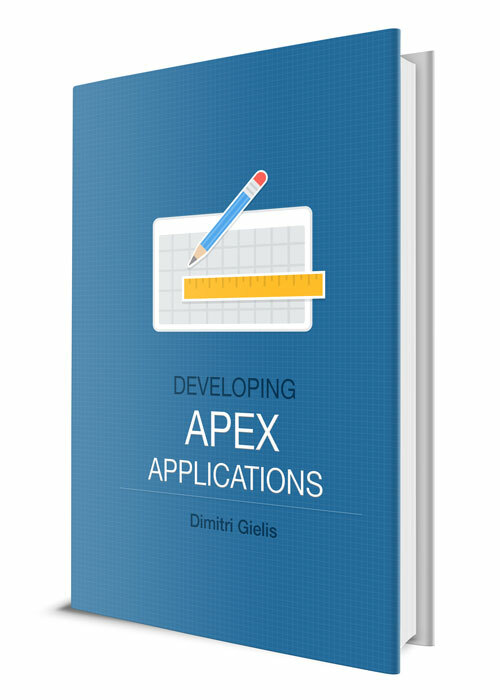 Dimitri Gielis Blog (Oracle Application Express - APEX): Where are my static application files of Oracle APEX? Ever got the error that there's an issue with your environment because the Application Express files have not been loaded when you try to open Oracle APEX in your environment? Since the Announcement of the availability of Oracle APEX Static Resources on a Content Delivery Network I typically configure APEX to use the CDN. 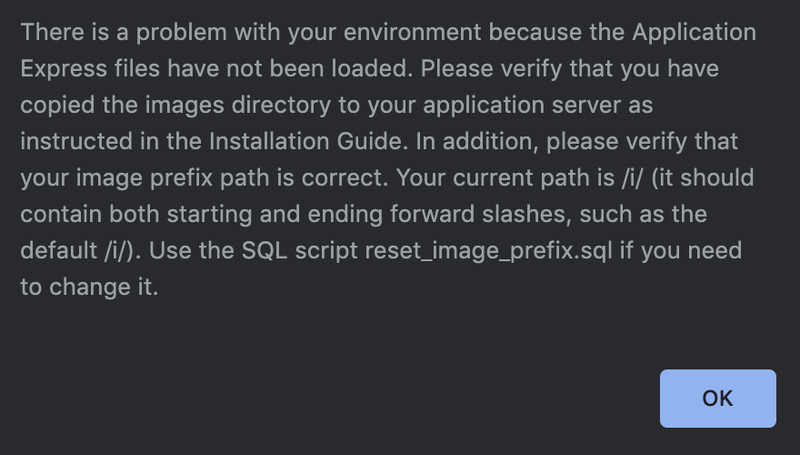 Now, when I got the above error, I forgot which images folder APEX was using. Was there an issue with the connection to the CDN, was it a local issue? Below is how I found out how the APEX images directory was configured and if it was using the CDN or local files. Above you see that in APEX 18.1 the /i/ directory is used on the local web server. On APEX 18.2 the CDN is being used. Note: whenever you run the above command change to the correct APEX user (version), so for APEX 19.1 you use apex_190100.